A True Taste of Tradition! Family is at the heart of Sicilian culture and so is the love of gelato. This is how Mamma Scoop was born. I married into an Italian ice cream family, whose hard work and enduring passion for their trade inspired me to create my own gelato dream! 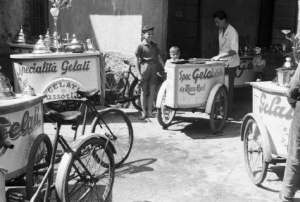 My vintage style ice cream tricycle proudly continues the family tradition but in Mamma’s own unique way, offering truly authentic servings of this Italian treat at Weddings and other special occasions. Mamma Scoop serves more than 20 flavours of rich, smooth, creamy gelato and a choice of 5 sorbets – all made using the finest ingredients. Delizioso! My three wheeled journey has well and truly begun and can be part of your big day. 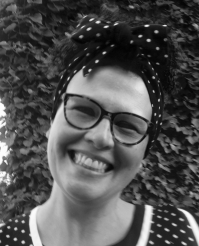 Mamma Scoop covers the South East and London and is a member of the National Caterers Association. Public Liability Insurance is held and all electrical equipment is PAT tested.